Mapominoes Europe is like dominoes but with maps! 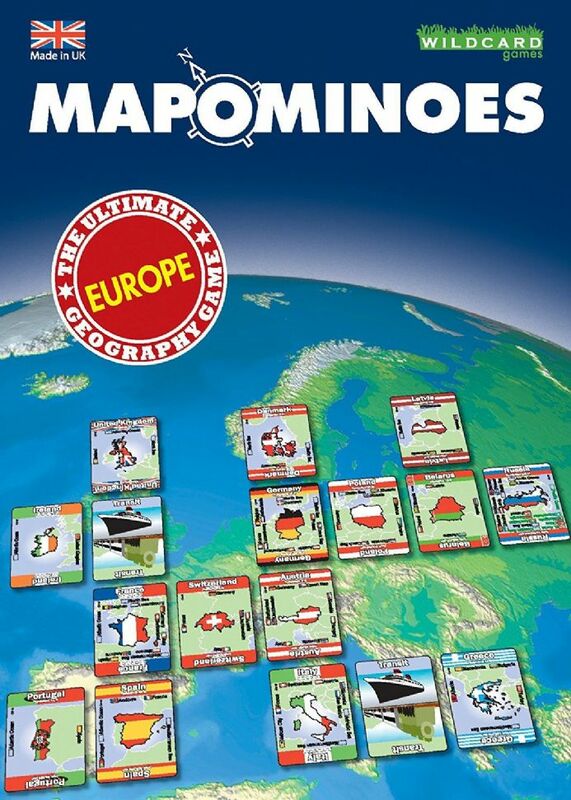 Players build a map of Europe, by connecting countries that share a common border. 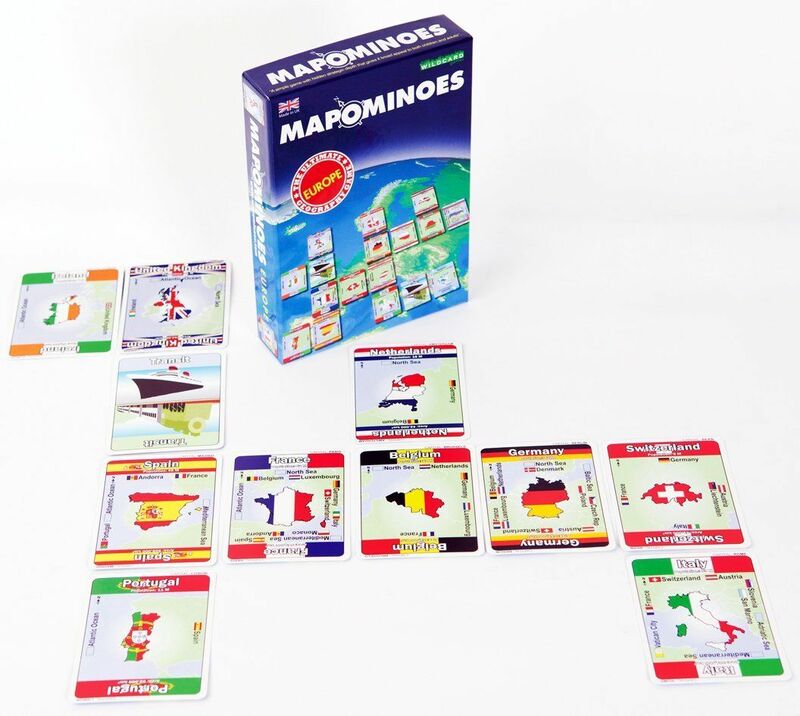 Stay one step ahead of your opponents, as you race to be the first player to play all your country cards on the table and win this geography game.Block your opponents by holding on to France or Germany or open up the Baltic States by playing Russia. 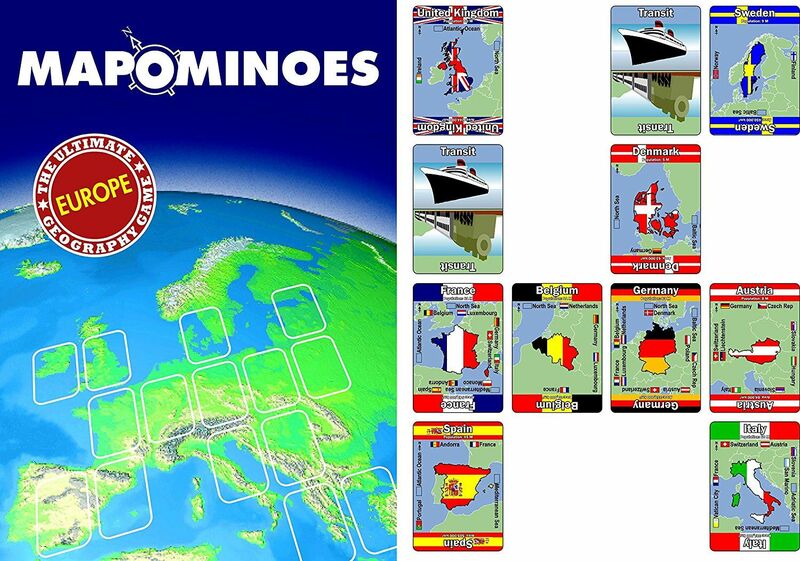 Take a boat through the North Sea to the United Kingdom or transit by train through Spain to Portugal.Try not to get stuck with San Marino, or landlocked with Liechtenstein as you watch the country cards spread across the table.